FortuneBuilders is proud to announce the launch of our newest website FortuneBuildersGives.com. A site dedicated to the charitable causes, organizations and events we support. FortuneBuilders is heavily involved in philanthropic efforts and many individuals at FortuneBuilders are personally involved in many charitable causes. FortuneBuildersGives.com is a new platform to publicize these efforts and to inspire everyone to help and get involved. FortuneBuilders Gives Projects are large-scale efforts to raise money, awareness and volunteering. Past projects include a Habitat for Humanity build day, Red Cross Fundraiser and a backpack drive for underprivileged children. FortuneBuilders Gives Moments is a blog, offering first-hand accounts, experiences and information about causes, charities, events and people involved in giving back. FortuneBuilders is privileged to have worked with incredible organizations such as the Red Cross, Habitat for Humanity, the Equal Footing Foundation and St. Jude Children’s Hospital. With the launch of FortuneBuildersGives.com, we have big goals of collecting more donations, helping more people and inspiring more supporters. FortuneBuilders’ primary charitable causes include Children, Education and Housing. 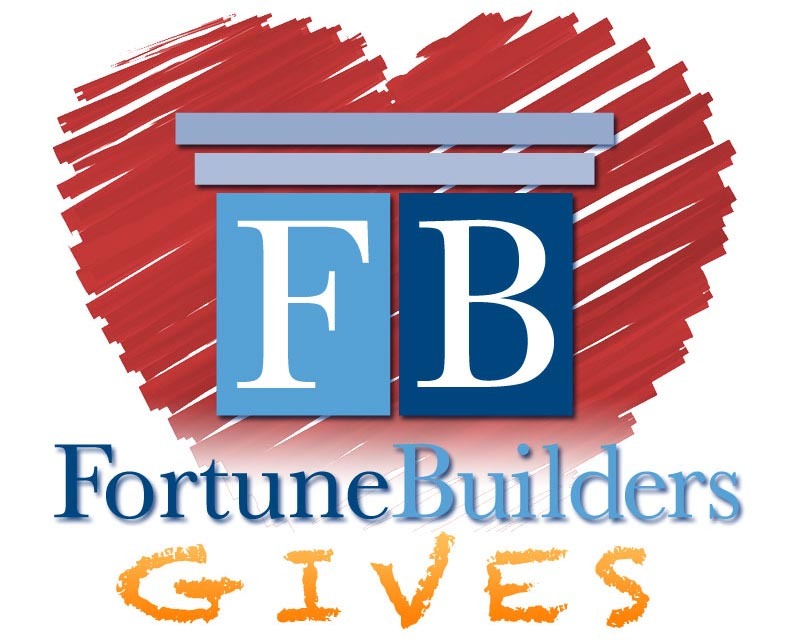 To learn more about our projects, read our blog or find out how you can get involved, visit http://www.fortunebuildersgives.com.